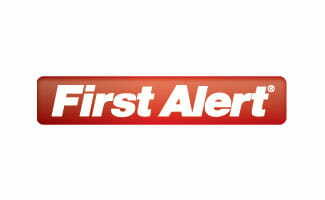 First Alert is the brand of smoke detectors owned by BRK, one of the most well-known smoke alarm companies out there. BRK offers numerous First Alert alarms to meet a variety of needs. Whether you’re a property manager looking to install new smoke detectors for your apartment complex or a homeowner needing to update your smoke detectors, it can be difficult to know which type of alarm will serve you best. We’ve reviewed eight popular First Alert smoke detectors to make your decision easier. Summary : BRK has more than 50 years of experience, reasonable prices, and various First Alert equipment options, so you’re bound to find a smoke alarm that fits your desires. We think this is a safe company to go with for your fire safety needs. Below we’ve compared eight popular First Alert/BRK smoke detectors to help you see the different options available. Some have special features, like carbon monoxide alarms or escape lights, so be sure to read each alarm’s description below. 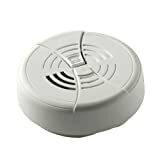 This smoke alarm is designed for residential homes and institutional locations (hospitals, hotels, dormitories, etc.). You can link up to 18 compatible First Alert devices (e.g., smoke alarms, carbon monoxide (CO) alarms, bells, repeaters, etc.) with this alarm. If one device triggers, they all sound an alarm. This feature can be convenient in larger institutions, but it’s frustrating for some users because it can be difficult to find the one that started it all during a false alarm. This alarm has a photoelectric smoke sensor, which means it detects slow, smoldering fires. This dual sensor alarm has both a photoelectric and ionization sensor, so it alerts you of both flaming and smoldering fires. However, it’s worth noting that there are no standards for dual-sensor alarms, so we suggest having a mixture of ionization and photoelectric alarms in your home. This smoke alarm is designed for both residential and institutional areas. This alarm has a photoelectric sensor with an escape light to help light your path to safety. BRK recommends installing this type of smoke alarm outside kitchens, bathrooms, and utility rooms. Since there’s an escape light, it is also recommended to have these in hallways for easier escape. The biggest issue with these alarms is that some consumers complain of a “chirp, chirp, chirp” alert that they are unable to stop without disconnecting the alarm. However, only a small number of the alarms have this problem. This smoke alarm is designed for residential and institutional use, like hospital sleeping rooms, apartments, hotels, dorms, etc. It is also approved for use in RVs. 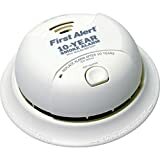 Unlike the majority of the BRK alarms we’ve reviewed in this article, this smoke detector is not interconnectable, which won’t be an issue if you’re using it in a smaller space like an RV. If you’re tired of changing batteries every six months, you may want a smoke alarm like this one. The battery lasts 10 years, which is the same amount of time a smoke alarm lasts. When the battery dies, you should replace the entire unit. In addition to homes, this device is recommended for homes, hospital rooms, hotel rooms, dorm rooms, and other multi-family applications, but not for common areas in multi-residence buildings. This alarm is a CO sensor and smoke alarm in one. The CO sensor is electrochemical, which is the most accurate sensor available because of its output of CO concentration. It requires minimal power and has a lifetime of 5+ years. The nice thing about these types of alarms is that they save time and money on installation. You only have to buy and install one device as opposed to two separate devices. This alarm is designed for residential and institutional applications. This hardwired alarm is a smoke and CO detector in one. The CO sensor is electrochemical, and the smoke sensor uses ionization. The system is meant to last 10 years as well as its battery, so there is no need to replace batteries regularly with this one. Overall, consumers seem pleased with this alarm. The biggest problem they run into is the detector not lasting the full 10 years, but since the warranty lasts 10 years, you should be covered. 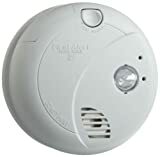 This smoke alarm is designed to have a quicker installation and perform better than others to help reduce nuisance alarms. Customers still report issues with false alarms with this device—and at a higher rate than other alarms in this article. Plenty of customers have positive results from this alarm, but from what we found in our research, approximately 20% of buyer reviews reference a high number of false alarms. Where should you install First Alert smoke detectors? 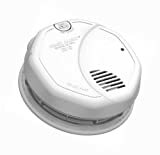 BRK recommends installing photoelectric smoke alarms outside of kitchens, bathrooms, and utility rooms because these are areas where smoldering fires typically occur. A smoldering fire is caused by a smoking material, like a cigarette, being left unattended. These types of fires produce carbon monoxide and cyanide, which are toxic. Ionization alarms are recommended for areas where fast flaming fires occur, like laundry rooms. Fast flaming fires occur when flammable materials ignite with other items, causing more flames and less smoke. To get the most out of your smoke detectors, follow these care instructions. Clean them at least twice a year. Make sure there are no cobwebs or dust on them. Replace your smoke alarms every 10 years. If your batteries are not meant to last 10 years, be sure to change them every year — even if they aren’t dead yet. Never “borrow” batteries from your BRK smoke detector to use in another device with the thought in mind that you’ll put them back. More often than not, you forget. Test your smoke detectors monthly. The majority of the reviews about BRK’s customer service aren’t great. Customers complain of rude staff and unhelpful advice. 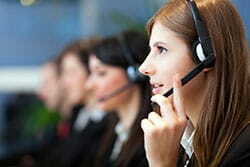 Many customers stated that after their chat with customer support, their problem was still unresolved. This is one area we’d like to see BRK improve on. Personally, I had a great experience with customer service. I talked to three different people, and they answered all of my questions. They were all polite and helpful to me, so your experience may differ from many reviews online. Overall, the biggest complaint about the BRK smoke detectors is the false alarms. Not all BRK alarms have false alarm complaints, but in general, it was the number-one complaint we found in our research. First Alert and BRK are household names when it comes to smoke alarms, and we think the alarms are worth the money. 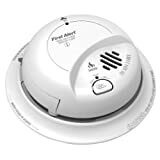 In fact, First Alert is our pick for best photoelectric smoke alarm, beating out Kidde and Nest. After keeping families safe for more than 50 years, BRK is considered to be one of the most trusted names in home safety, and it can keep your family protected too. What do you think of BRK? 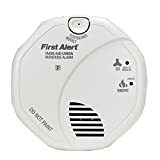 Do you have any experience with First Alert smoke alarms? Share your experience with us in the comments!